Got some items you need up or out of the way?! R.E.T.I shelves to your rescue! We will be closing at Noon Friday, December 21st and returning to regular business hours, 9 am - 6 pm, Wednesday, December 26th . Eat, Drink & Be Merry ! Our latest project! Custom dresser made out of beautiful reclaimed lumber from Montana. 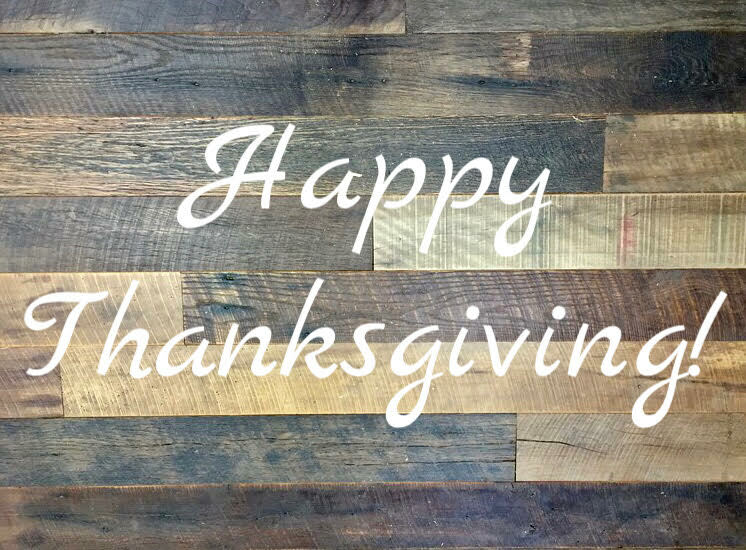 We will be closed on Thursday and Friday for the Thanksgiving holiday. We will resume regular business hours on Saturday, November 24th from 9am-4pm. Enjoy this time with friends and family! We built this beautiful custom kitchen island top for a client of ours! Check out our Instagram for more detailed pictures! We hope everyone enjoys their weekend! We will be closed on Friday, 31st through Monday, September 3rd. We will resume regular business hours on Tuesday, September 4th! Thank you! Reclaimed barn beams create wonderful mantels! 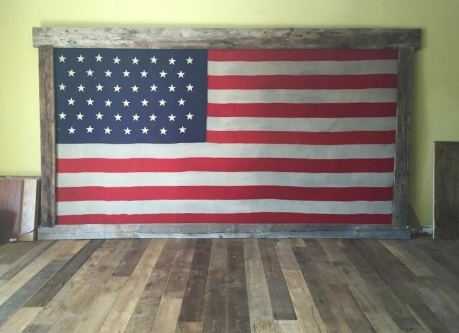 U.S. Reclaimed, Vintage Lumber and Wood Works is stocked with reclaimed beams that date back to the early 1800's. Each piece is unique and filled with history. We also offer a variety of finishes to create a custom look that is like no other. Visit the store or contact us to get started with your reclaimed wood mantel. We are ready to help you find your vintage wood piece. Update any restroom with reclaimed! U.S. Reclaimed, Vintage Lumber and Wood Works offers a variety of reclaimed wood to get started with your vintage projects. 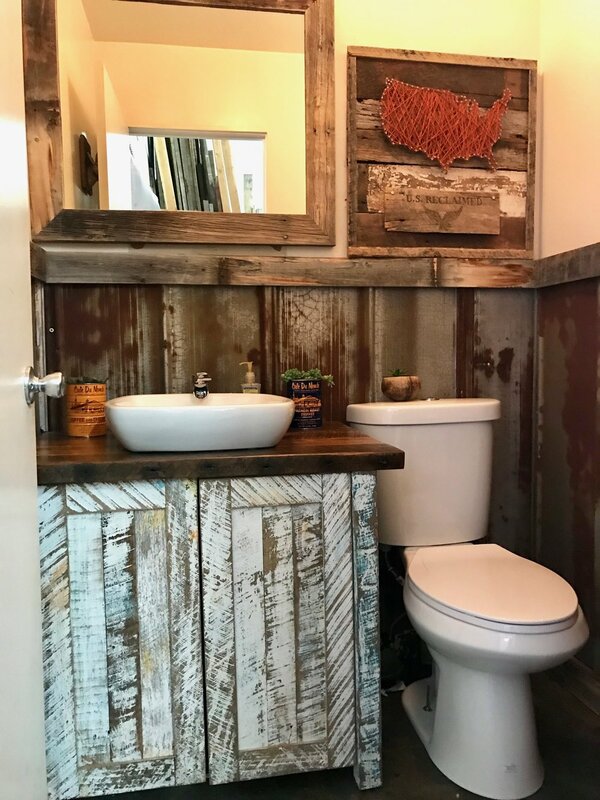 Reclaimed wood looks great and works great in any room: including restroom/bathrooms! Visit the store or contact us to get started with your reclaimed wood project; we look forward to working with you! U.S. Reclaimed, Vintage Lumber & Wood Works is stocked with plenty of reclaimed wood that is ready for its new purpose. The material creates beautiful accent walls filled with history and unique characteristics. The photos posted are the work of a recent customer: A beautiful reclaimed wood wall paneling project. Visit the store to take a look at the inventory and enjoy being surrounded by material that dates back to the 1800's. We are closed on Wednesday and Thursday (July 4th & 5th) this week. We will resume regular business hours on Friday, July 6th, 2018. Happy Independence Day! 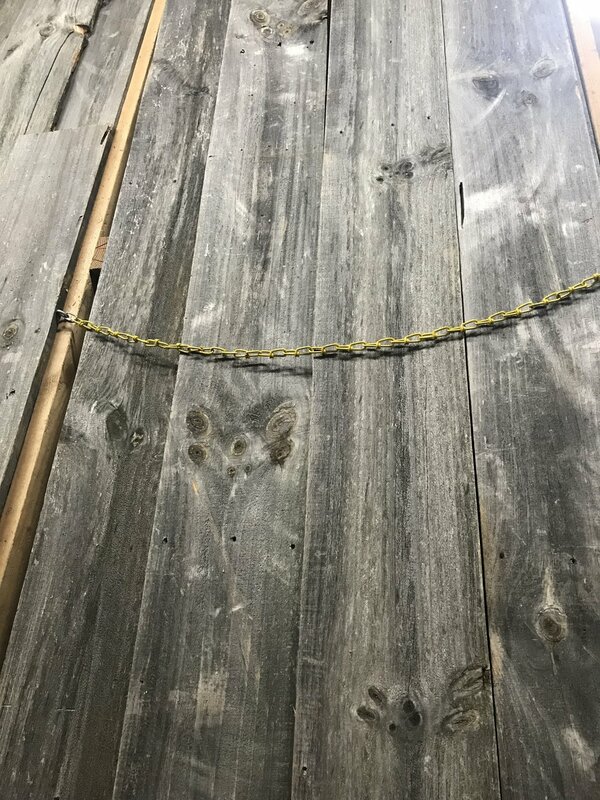 Reclaimed and ready to repurpose: Vintage grey barn board from Montana is in stock and ready for purchase. The material is beautiful and in demand. And U.S. Reclaimed, Vintage Lumber and Wood Works is the place to find it. Visit the store to get started on your home project . . . Open Monday - Friday: 9AM-6PM AND Saturdays: 9AM-4PM. Get it before it's gone! U.S. Reclaimed Vintage Lumber & Wood Works offers a variety of custom reclaimed furniture to add to your home. The featured table is handmade from a Sail Boat. A perfect piece for those inspired by the ocean! Contact us to get started on a custom piece for your home or visit us to take home our featured table before it sails away! A beautiful way to incorporate reclaimed wood into your home/office are these gorgeous ceiling beams. We offer solid box beams & custom made box beams. Check us out at U.S Reclaimed, Vintage Lumber & Wood Works to discuss your upcoming project! Reclaimed wood adds a beautiful vintage touch to the home. 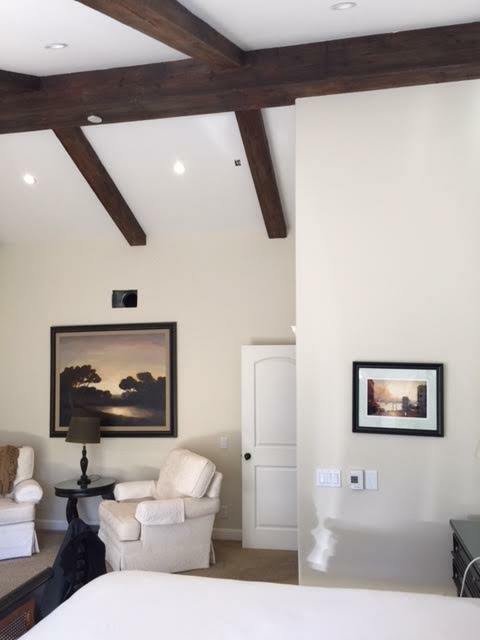 Ceiling beams are a wonderful way to incorporate reclaimed wood into any style and design. Solid beams and custom made box beams can be purchased at our store. Visit or contact U.S. Reclaimed, Vintage Lumber & Wood Works to get started on your custom order. The possibilities are endless! Mantles, Mantles & More Mantles ! All these reclaimed wood mantels are finished and ready to be a part of your fireplace makeover! We will be open tomorrow 9-4, come in & pick out your new mantle piece! 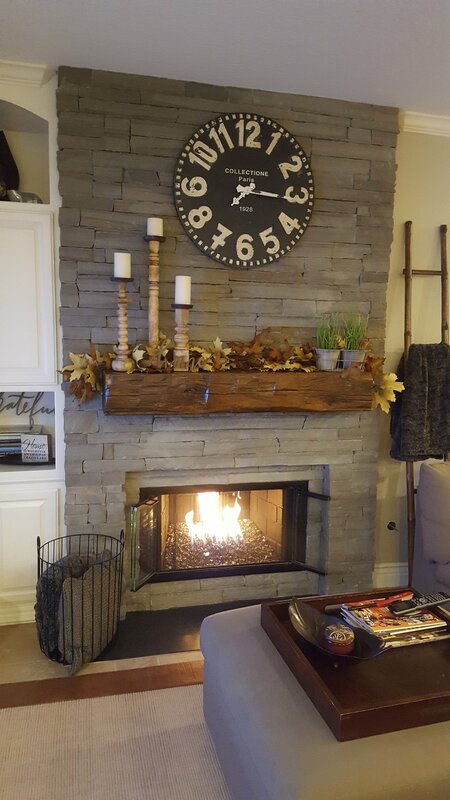 This mantel is made from 1800 barnwood material. This beautiful piece adds a vintage touch to any modern home. Reclaimed wood shelving adds great character to any area. 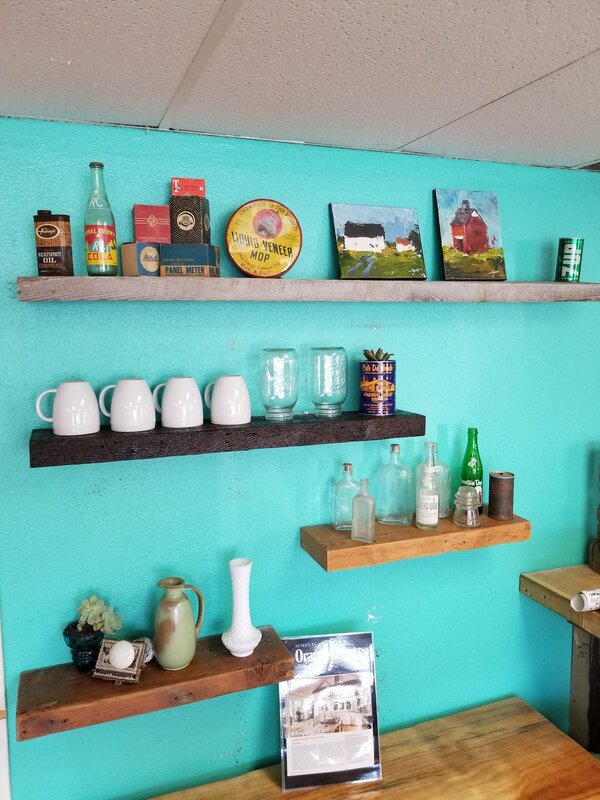 The picture above shows how a customer used reclaimed wood material from Montana to create wonderful shelving. Contact or visit U.S. Reclaimed, Vintage Lumber & Wood Works to get started on your reclaimed wood project.